Self-described "trans racial" activist Rachel Dolezal ignited an unprecedented media storm when a local news station in Spokane, WA outed her as a white woman who had been living as the black president of the NAACP. Since the controversy erupted, director Laura Brownson and team exclusively filmed with Rachel, her sons and her adopted sister Esther, capturing the intimate, vérité life story of a damaged character who lands squarely in the cross-hairs of race and identity politics in America – and exploring how that character still provokes negative reactions from millions who see her as the ultimate example of white privilege. 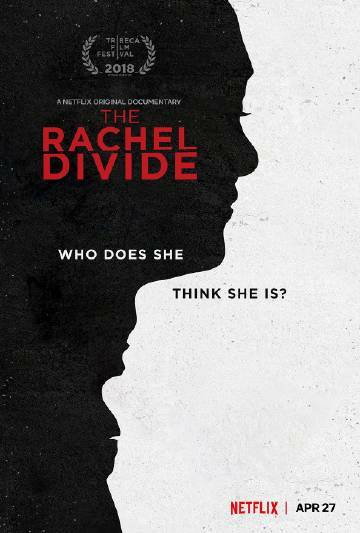 A Netflix original documentary, The Rachel Divide, is executive produced by Academy Award winner Roger Ross Williams.